On the web and mobile apps, the package appears as a single event. Upon opening, the event includes an agenda (listing sub-events such as panels or sessions), a list of speakers, sponsors and maps. Program of Events: Allow guests to browse all events and activities such as panels and sessions. See who has registered, quickly RSVP and retrieve tickets on the go. Activity Feed: Attendees can check quickly what’s going on today, instantly post news and photos, share opinions, ask questions and start new discussions. Custom Lists: Create categorized and searchable lists for any information such as FAQs, Locations, Resources, Speakers, Exhibitors, Sponsors -- anything you wish! Attendee Directory: Allow your event guests to browse other attendees and communicate directly with them. Web Views: Include any of your website pages directly into the app. Link to any external websites you would like. Venue Maps: Upload custom, detailed maps to display the buildings, floors and rooms at your event, for a convenient way for your guests to locate and orient themselves on the go. Attendance-Tracking & Reports: Scan attendee QR Codes from your guests' email confirmations or printed badges. Download attendance data and assess insightful reports to help measure ROI. 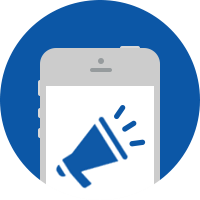 Push Notifications: Send instant mobile reminders to all or select attendees to share latest updates (e.g., event location moved). Chat: Facilitate relationship-building and networking opportunities at your event by connecting attendees with a robust messaging system to browse, find and strike up a conversation with each other anywhere, anytime. Email Marketing: Send beautiful emails & newsletters to event attendees. Groups: Create a directory of organizations. Allow attendees to manage, browse, join and interact with groups. Surveys & Forms: Build custom surveys and forms to collect the data you need. Ask for feedback before, during and after an event to gain valuable insights. Blog: Let student leaders post on their blog before, during and after the events. Allow attendees to read and comment on the latest posts. Payments: Allow groups to sell event tickets online. Collect money directly into preferred payment gateway. Booking Time Slots: Allow attendees access to one-on-one meetings with the ability to book available time slots online & on the app. Stores: Sell food, drinks & merchandise directly from the platform. Track sales & generate detailed reports on collected data. For more information on multi-day event packages and dedicated event mobile apps, please do not hesitate to contact us or to request a demo.